The girls have been getting their share of winter fun. K spent Friday night with her best friend as they went on a Polar Express train ride and then had a sleep over. I was afraid that they may be getting a bit too old for it but they had a blast. Anything can be fun when you are with your best friend you know. Saturday night L went ice skating with her best friend and then had a sleep over as well. By the time the snow storm hit on Sunday we had two tired little girls due to late nights and then 2 hours of playing in the snow with neighbors. :) As for me, I have been trying to get ready for Christmas. DH and I spent Friday night while L was at gymnastics shopping. It seems never ending sometimes doesn't it? I thought I would share a few Christmas Past projects with you today. 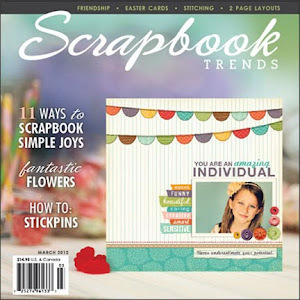 I created each of these projects for publication. This first card appeared in Paper Crafts' sketch book. Really had fun creating projects for that book. Definitely worth checking out. This last card is one I created for Card Creations, Vol. 8 put out by Paper Crafts this last year. Just love that elegant Santa image don't you? Thanks for stopping by everyone! Have a great week! 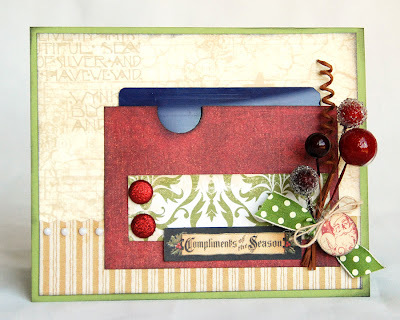 Love your fabulous Christmas past projects, Lisa! They are all just so elegant and wonderful. TFS! 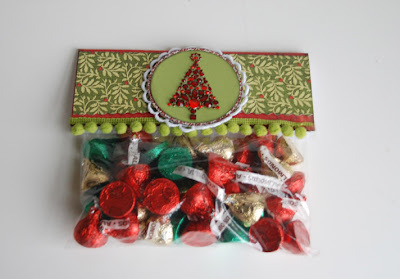 Beautiful Christmas projects, I particularly like the bag topper. TFS! love all the projects and card~ treat bags are so cute!! ooooooooo beautiful cards. love the kisses, yum. What awesome projects! I love the card! such great projects Lisa! congrats on having them pubbed! These are adorble, each and every one. 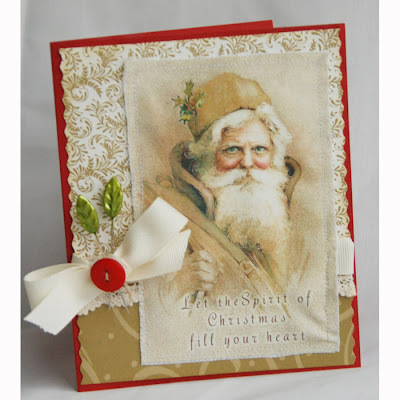 That Santa image is so pretty, love the vintage feel of the card. Funny how busy you get with kids and their social calendars already but then throw the Holidays into the mix and you just run circles. LOL - congrats on the pubs - your cards are fabulous! Love the Santa one!